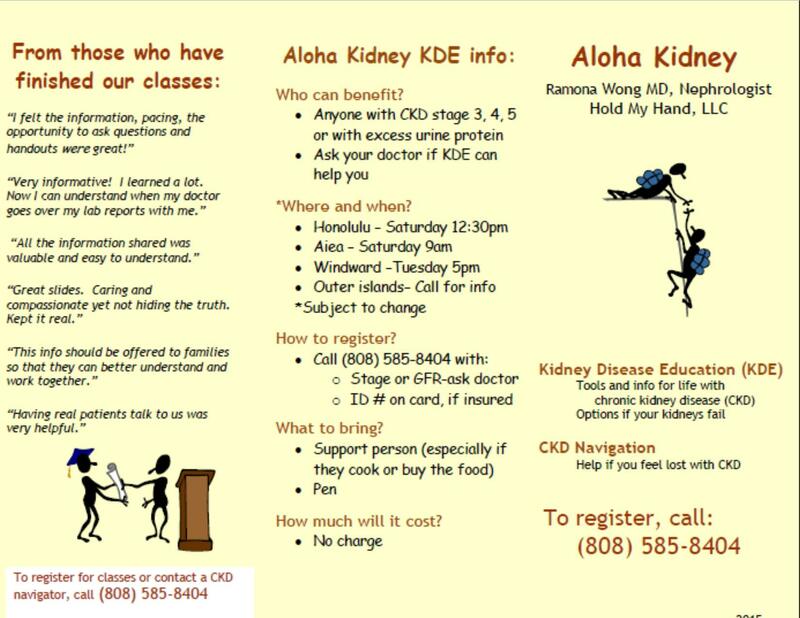 FREE Kidney Disease Educational Classes for Ka’u Residents (Aloha Kidney) « Ka'u Rural Health Community Association, Inc. 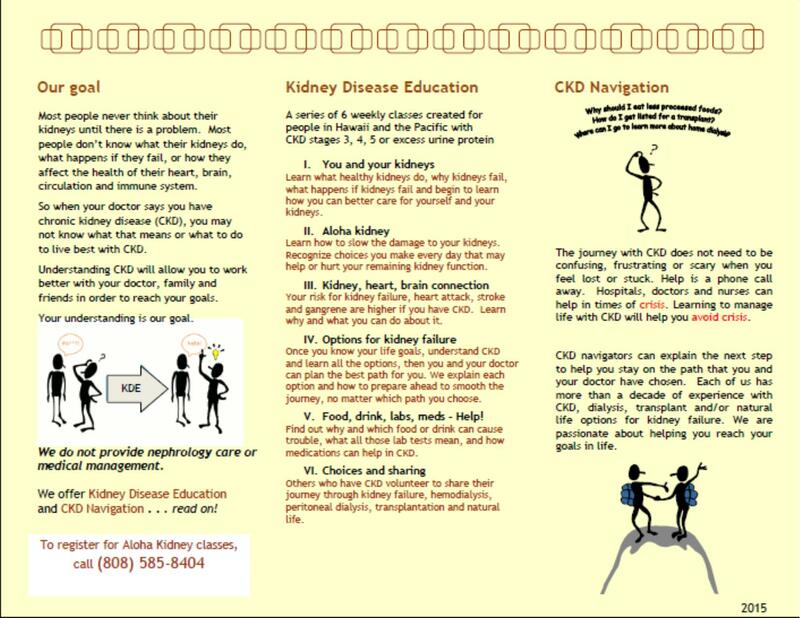 Contact Heanu at the KRHCAI Resource Center at 928-0101 if interested in signing up. Ka’u Residents: Contact Heanu at the KRHCAI Resource Center at 928-0101 if interested in signing up. If you have a question, you can either ask during the class or type in the space on the left side of your screen under “Public”. Once you click the curved arrow icon, all will be able to see your question which I can answer whenever I see it, at the end of the class if I don’t notice it earlier. At the end of the class, click on the red round icon at the top right hand corner, and click on “yes” to leave the meeting when prompted. Mute the computer microphone. Audio will be handled through the phone. Turn off the computer speakers. Audio will be handled through the phone. Mute the telephone microphone when not speaking. Mute the audio when not speaking. Ensure that the speakers are not so loud that the speaker sound is picked up by the microphone. A way to avoid this problem altogether with the microphone/speaker looping is to use a headset with a microphone. If not, reduce the volume and reduce the microphone sensitivity.